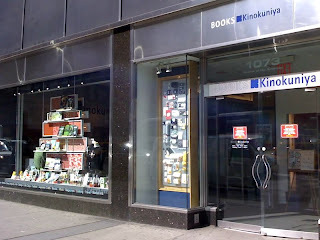 Cafe Zaiya has three locations in New York City; Midtown, East Village and the Kinokinuya book store. 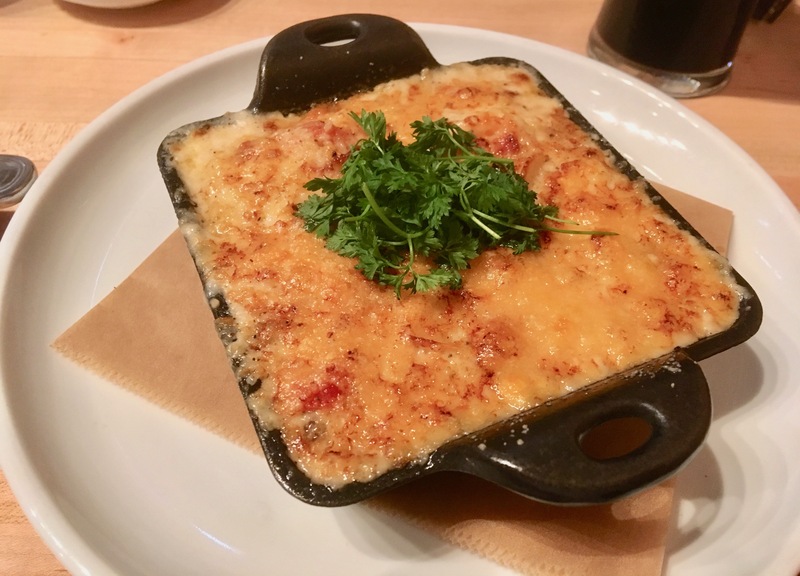 Visited the Cafe Zaiya in the Kinokinuya for lunch. 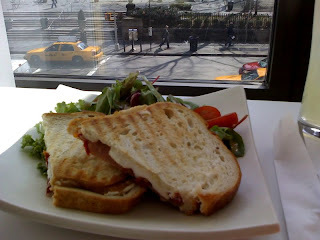 The cafe is located in front of the store on the second floor with a panoramic view of the Avenue of the Americas and the Bryant Park. You need to take the escalator or the stairs up from the back of the store. 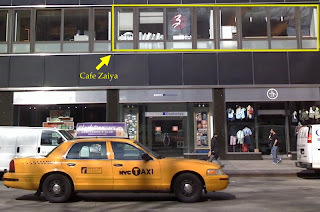 This Cafe Zaiya is not really advertised so you need to know where you are going. Maybe the reason they don't want too many people to know about it is because the seating area is quiet small and it does get very crowded during lunch time. 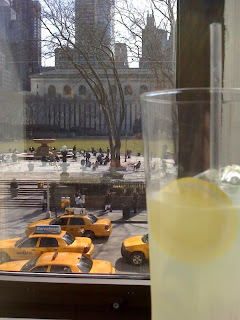 I was lucky enough to grab a chair by the lunch counter facing the Bryant park. They offer bento boxes, pre-made sushi, grilled sandwiches, desserts and a large tea selection which is served in a tea pot. There is a microwave to warm up the bento boxes, if desired. I didn't have too much time so I ordered a "Classic Tomato" which is a mozzarella, proscuitto and tomato sandwich, grilled panini style. Also a tall glass of lemonade and a green tea cup which is similar to a pudding. Food is served on custom hand-baked ceramic "Zaiya" plates and drinks are served in tall glasses or porcelain cups. A lot attention paid to the detail and service here. The total cost was about $14.00. They sell out of the popular items quick so get there early. The seating is limited to about thirty so same applies about getting there early. I shall return to try one of the bento boxes, other desserts and a pot of tea. Pros: Great value. Nice view of the Bryant Park. Good selection of quality tea and desserts. Cons: Gets crowded during lunch. Tight seating area.